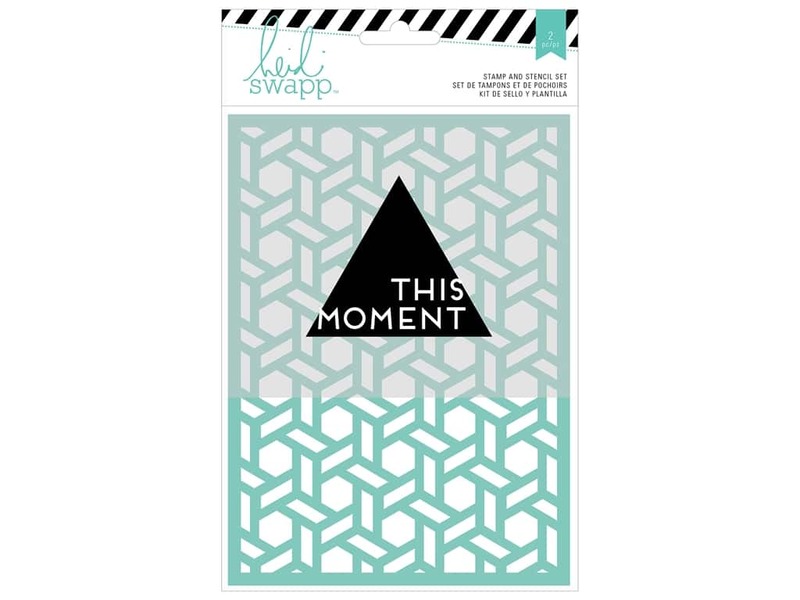 Description: Heidi Swapp Wanderlust This Moment Stamp & Stencil Set includes a plastic stencil with a woven lattice. The stamp is a Clear cling triangle with the caption "This Moment". Stencil measures approximately 5 1/4 x 7 1/4 inch. See more American Crafts Heidi Swapp Wanderlust Collection.